Brussels is a little player if you compare it to London and Paris, but not when you look at the music bands coming over here. Not only the big bands but also the upcoming ones on international level find their way to Brussels. This is thanks to the excellent programming of some concert halls. One of the best examples is Vaart Kapoen (VK). Even though not the biggest player in town and maybe not best located, it has achieved to diversify its program and seduce more music lovers to its basis in Molenbeek. Let us take a look at the program for the following two months. There are many concerts but I will focus on reggae, hip hop and electronic. 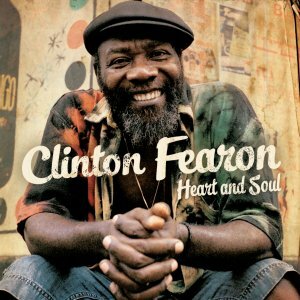 The 2nd of November Clinton Fearon of the legendary Gladiators is coming to introduce his new album Heart & Soul. It is an intimate acoustic project and tribute to reggae music. He will be accompanied by to other members of Gladiators Clinton Rufus and Gallimore Sutherland. The 10th of November TECH N9NE also known as Tecca Nina will be present in town. He has been making hip hop for about 25 years now and has the reputation for being a hard worker. Hundreds of shows a year keep him going. He has been working together with some of the big names such as Busta Rhymes and Snoop Dogg. His power is the innovative beats and fidelity to the original hip hop beats. Bass Crafters is the new project of of Kaly Live Dub, one the most important dub bands in Europe. Their music is a mixture of various genres of bass beats dub, dubstep & jungle. Support band, the 22nd of November, is Brain Damage Dub Sessions. These guys will surprise you. Note very well on your agenda the 2nd of December as one of the best roots reggae bands is heading to Brussels. Midnite is most probably not the most danceable reggae, but seeing them live it’s a true journey. This is not only a musical journey, but also social and political as their lyrics are an invitation to reflect on the many problems and challenges the world is facing today. Sunrockers, best reggae band in Belgium, is going to be the support act. This Brussels band is ready to invite Europe in the next coming years. Their soulful roots reggae is magical. The Cat Empire is landing the 11th of December at VK. These guys need no introduction as they are one of the most acclaimed ska bands at the moment. They have a reputation of setting the place in fire during the live shows. It is no surprise that this concert is already sold-out. To close this soulful selection what about The Herbaliser. The 15th of December you better bring the right dancing shoes as the triple ‘hip hop, funk and soul’ is about to be launched and you better be there. They have been playing in the biggest festivals in Belgium and they love to be in Brussels. Almost 20 years of groundbreaking experience is a guarantee for an explosive night in Molenbeek.